Polka Dots is a fashion trend I have loved since I was extremely young. It’s one of those trends that you either love or hate. For me, it’s a huge love! In this ensemble I feel super empowered since it’s a very stand out-ish outfit. The feeling of empowerment relates into my work ethic and drive to get some place in the fashion industry. Having a drive to succeed has been something my mom instilled in me since I can remember. Succeed in terms of college, work, friends and always give a 110%. However my generation, the millennial kids, seem to receive a bad rep for lack of motivation and vision to succeed. Having friends from every college discipline you can think of, I really have to disagree. If anything, the pressure to succeed in a world where everything is online is at an all time high. I’m proud to be surrounded by people who want to have fun while achieving. 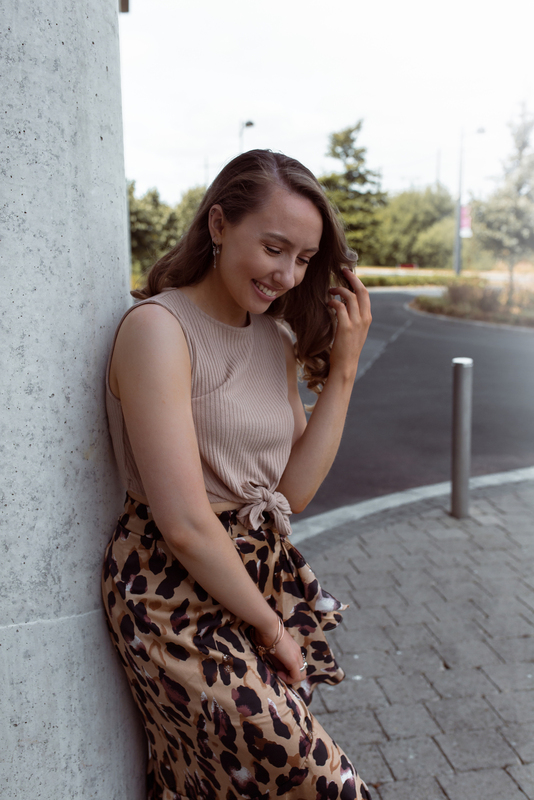 Motivation, drive, vision and a positive attitude combined with a polka dot outfit (of course) is what you need to remember when stepping into any new industry. I’m a firm believer that a good mindset can lead you to greatness. This summer I have a few plans that I’m hoping happen which will push me even further in fashion. Moral of this post, empowerment is found everywhere; for me that was my outfit.